On Thursday, October 18, students in grades 3-4 will be participating in an exciting event called "The Junior Firefighter Challenge." Students will compete in a firefighter-themed obstacle course on our Dwight Elementary playground. 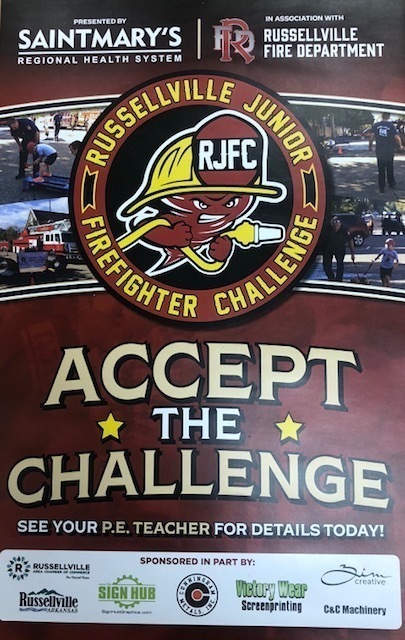 The top three boys and girls from third and fourth grades will be invited to compete against other Russellville Elementary students in the Russellville Junior Firefighter Challenge at the Downtown Fall Festival on Saturday, October 27! This will be an exciting event! Our Dwight families are invited to come watch and encourage our students on Thursday, October 18!